Naoshima in Kagawa Prefecture is a small island located one hour by ferry from Takamatsu. A quiet fishing village of Seto Inland Sea, has been reborn on the island of art from the 2000s. It starts from one museum, and now the entire island has become like a work of art. 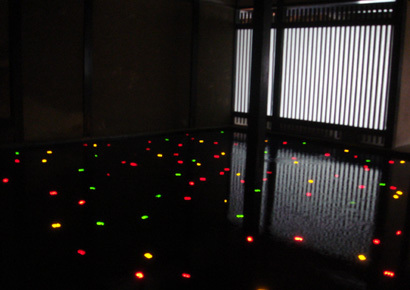 Art House Project is a symbol of the Naoshima art movement. Artists was converted into a work of contemporary art on Naoshima traditional houses. The photo below is one of the work, the artist has changed in a fantastic space by water and colorful light bulb inside the old house. There is also a work of art that uses the old shrine. 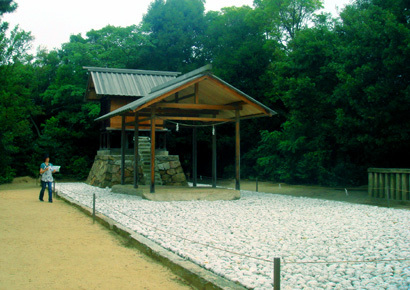 It looks like an ordinary shrine at glance, but the stairs of the shrine are made of glass. 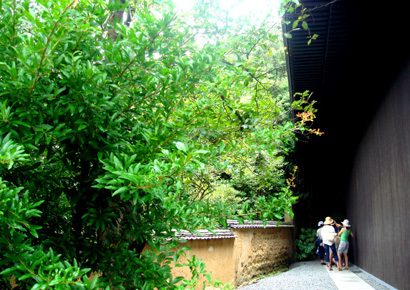 By adding one modern element in traditional Japanese space,shrine was transformed into a contemporary art. Naoshima is an island very interesting to symbolize the charm of Japan as science and tradition coexist, and it is popular among foreign tourists as well as Japanese tourists.